Originally conceived from the love of horses of the great-great-grandfather of one of the current directors of the company, Tim Tadman. Thomas Tadman was a horse trader working from his home in Bale in Norfolk. 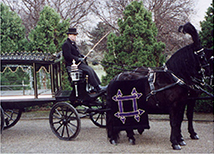 He imported Friesian horses from Belgium, trained them to pull a glass hearse and then sold them to the Funeral Trade, mainly in the London Area. He, and his wife Dorcas, moved to Stepney, East London in 1849, and slowly built a thriving funeral business. After their deaths, their son Alfred William and wife Annie continued to run the business successfully. He became a well known personality in the East End of London, not only as a Funeral Director, but also for his knowledge of Belgian Black Horses, which are the breed still used for Horse Drawn Funerals. We are proud to be the chosen Funeral directors to appear in funeral scenes of TV programs and Films, such as Eastenders, Holby City, Silent Witness and many more. We regularly work with the BBC and production agencies. Together we are able to create a lasting memory. A time of remembering that celebrates the closing chapter of a life and reflects the qualities of the person that you have loved and wish to honour. Creating personal tributes. 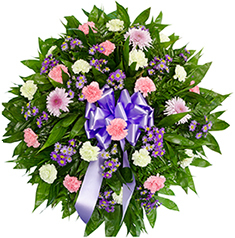 Everything your family and friends ever thought about a loved one is expressed on that day.